It’s time for the artist who first posed that infamous question to do what he does best… generate infectious music and riveting performances that inspire the audience to get up and move! 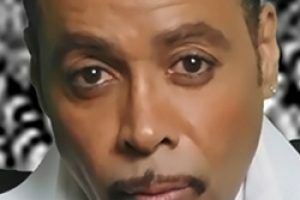 The legendary, pimpadelic funkmaster, morris day, best known as the break out star of rock movie sensation purple rain, is releasing his new album through hollywood records, it’s about time. Morris day returns as the freakalicious frontman for one of the all-time greatest party bands and reunites with the time’s original bandmates, valet/vocalist jerome benton, drummer jellybean johnson and keyboard artist monte moir to present past favorites such as “jungle love,” “get it up,” and “the bird,” as well as four new tracks including “my ride,” “ain’t a damn thing changed,” and “two drink minimum.” born in minneapolis, day had a flair for fashion. Inspired by photographs of his grandpa in zoot suits, a true fashionista was formed! Day went to school with prince rogers nelson and sang in prince’s first band grand central. Prince grew as an artist and so did the opportunity around him. The time was originally created as prince’s alter-ego to be seen as the cool, street-wise funk band contrasting prince’s more soulful r&b sound. After looking at several lead vocalists, prince wanted someone with mad talent so he cast his high school friend– the funky, the fabulous morris day. Soon after, morris day and the time were cast in purple rain which captured the exploding minneapolis music scene at its peak. Morris day burst onto the public scene with the group’s self-titled album, the time, which included “get it up,” “cool,” and “girl.” soon after the world was introduced the prolific minneapolis music marvel, the group went on to record three more albums, including what time is it? (featuring the hits “777-9311,” “wild and loose,” “walk,” and “gigolos get lonely too”) and ice cream castle, (which included the hit “jungle love”). After three albums morris day launched his solo career, releasing three albums: the color of success, daydreaming, and guaranteed. Combined sales of morris day’s solo work and the time is in excess of 10 million units. “it was such an innocent time,” day reminisces. “we were just doing our thing, talking the way we talked and dressing the way we dressed. Bringing our personalities to the record. It was us being us. I’m proud of where I came from musically and the things we’ve done, but I ’m here with another project. I’m looking forward to the ride again. That’s what I ’m focusing on now.” when asked, where have you been? Day smiles his smooth cheshire (mischievous) grin. “ I ’ve been waiting for just the right time to launch a new project. I felt that hip hop has had such a strong hold on the industry the timing needed to be perfect. I’ve continued to record over 100 songs and to tour. With new artists sampling old-school music, my phone started ringing off the hook. I knew it was the right time.” morris was performing for southpark’s 100th episode celebration to a private hollywood crowd of industry insiders when manager courtney benson approached him backstage. “his performance was electrifying, and the audience reaction was phenomenal,” says benson (also manager to hip hop-superstar nelly). Benson brought day to hollywood records where morris met with label head bob cavallo and his team, and the deal was inked. Most recently, morris contributed a cover of rockwell’s “somebody’s watching me” for the haunted mansion soundtrack and gave an unforgettable performance in kevin smith’s hit 2001 film, jay and silent bob strike back, in which day and the band served as a running plot device and performed a soaring “jungle love” finale. “kevin said he’d written the script with us in mind,” nods day. In his new album, day combines classic old school sounds with new music featuring hot new artists. He delivers energetic vocals and witty lyrics, complimented by his trademark smooth-as-silk dance moves, all wrapped up in flashy, dapper fashions! The time couldn’t be any better for it’s about time. Somebody bring the man a mirror- it’s a brand new day.